You hear the word wellness tossed around out there a lot these days. There are wellness centres, wellness clinics, wellness coaches, wellness educators, wellness retreats, wellness, wellness, wellness to the point that google yields 548 million search results for the term, and it begins to lose meaning. Maybe you’re familiar already with something called the “wellness wheel.” It’s also been known to go by the name of the “balance wheel,” and ultimately draws its inspiration from an ancient aboriginal concept called the medicine wheel, a symbol depicting the 4 areas of health corresponding to the four major directions of the compass as they are holistically understood by various aboriginal cultures. 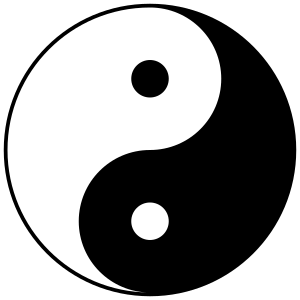 Additionally, if you look a little further, you will see similar symbols across many other cultures, such as the Yin Yang in Chinese philosophy or the mandala in Hindu/Buddhist thinking, all of which arguably illustrate the complex and often contradictory relationship between parts that ultimately manifests in a whole larger whole. So, wellness as a result of a combination of factors, none of which exist in isolation, is by no means a novel idea. Nonetheless, it’s still something worth thinking about, especially in the ultra-fast paced world that makes up most of western society. The above diagram is pretty common as far as wellness wheels go. Here at SFU, the fine folks over at Health Promotion have created their own wheel that trades the intellectual piece above for a financial one, but really it’s whatever makes the most sense to you. One thing these wheels seem to all have is a career related section. Some label it as career/academic, some use the term occupational, some vocational, etc. For a university student, I think the combination of career and academics makes a lot of sense, particularly because a lot of students these days enter academia simply because they don’t know what else to do (I was one of these students). That’s not to say that it’s a bad idea – on the contrary, post-secondary education is one of the best places to discover what you’re passionate about – but rather a problem within a larger system of education that puts way more emphasis on end results than it does on the (lifetime) learning process. The whole idea of the wellness wheel is that in order to achieve any semblance of lasting wellness, all of the different aspects should be in relative balance. Whenever one or more of the different areas becomes a disproportionately large focus in your life, there must by natural and logical consequence be a corresponding area of your life that becomes a disproportionately small focus. Let me ask you this, student readers: Can you think of a time in recent memory when you had to make inordinate sacrifices in other areas of your life to meet academic demands? A ridiculously rhetorical question, I know. We have to be realistic and expect that at certain times, we’re gonna be way out of balance. But cumulatively, averaged over a long period of time, the goal is to be as balanced as possible. And I would venture to say that most post-secondary students either place way too much or way too little emphasis on the career section of their wellness. Which begs the question: How do you make your career a part of your overall wellness? How do you know when this aspect of your life is out of balance, and what can you do to even things out? How do you define career wellnes? In part II next week, we’ll look at some potential answers.